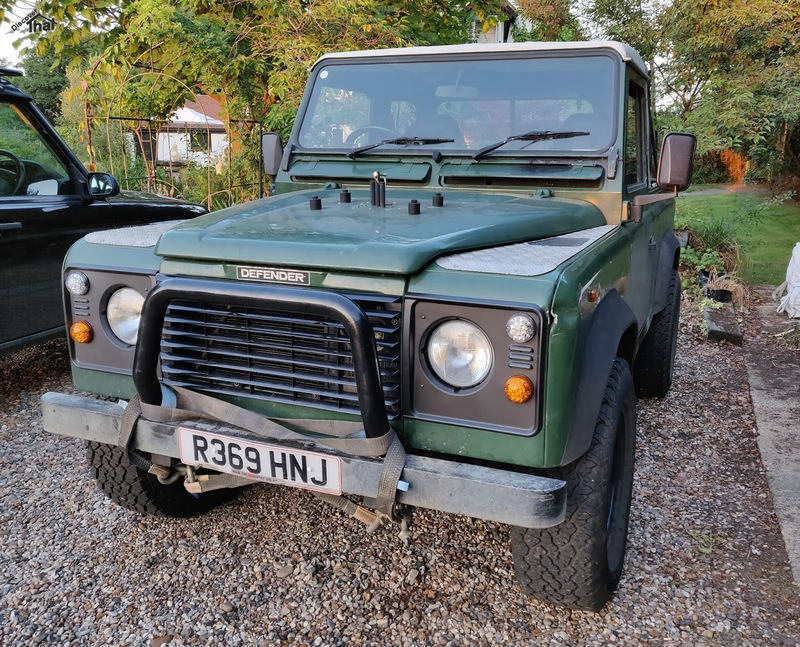 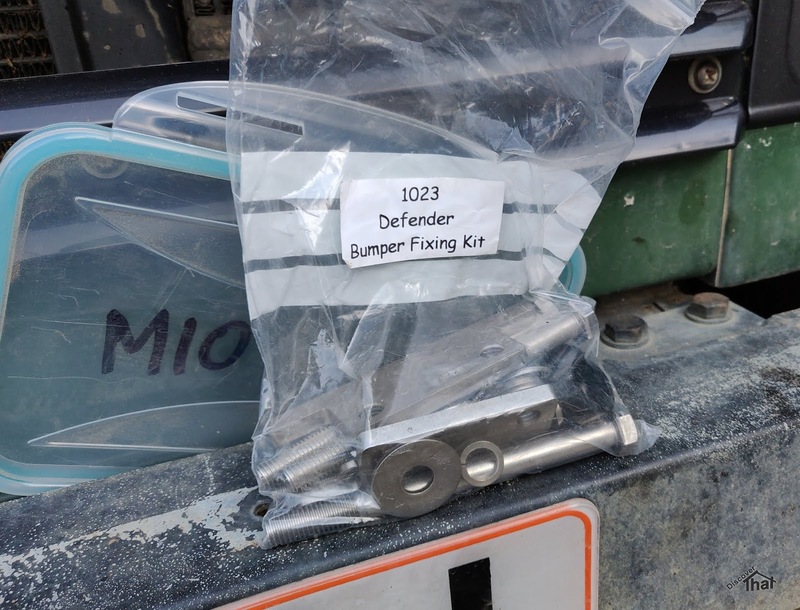 Another Essex Land Rover Club member had some surplus bits for sale. 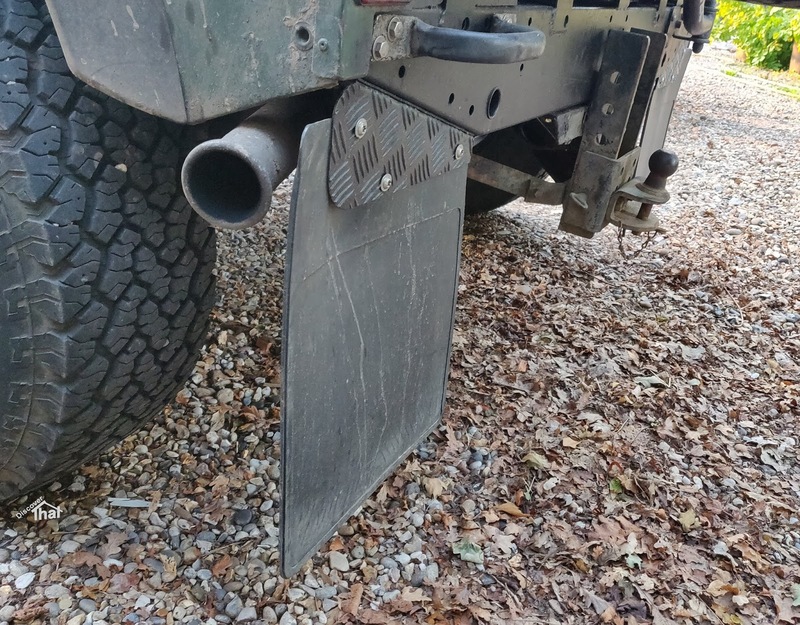 The A-bar was exactly what we needed for Fender. Eventually I will add spotlights but mainly the A-bar is ideal to wrap the tow strops round when not in use. 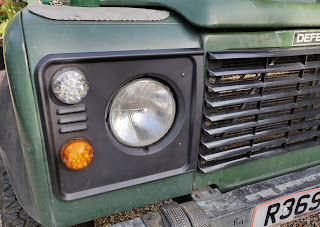 I took the opportunity to replace the plastic trim round the front lights and the grill panel. The original bits were damaged in several places. 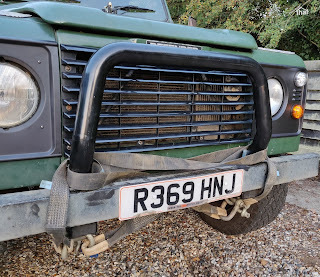 Having done that I moved on to the bumper. 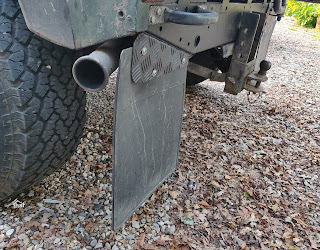 Taking that off was not too difficult. 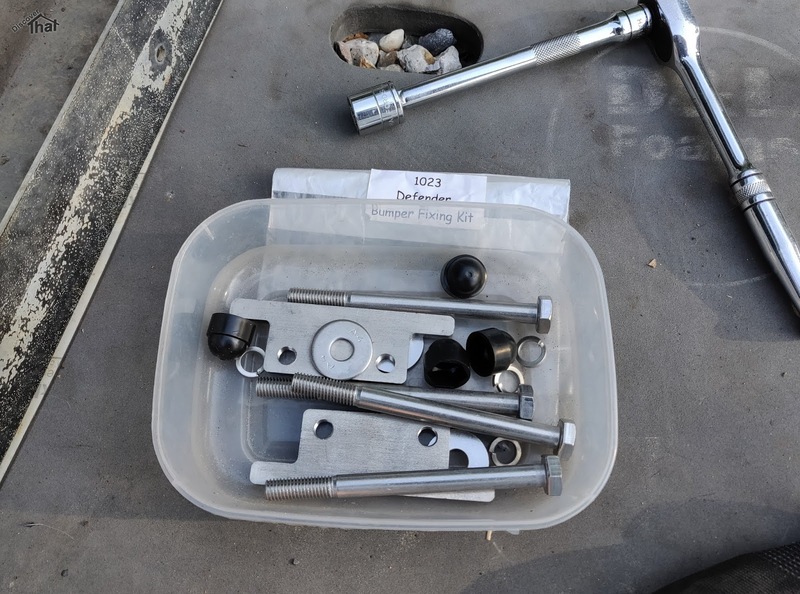 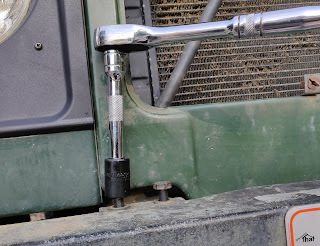 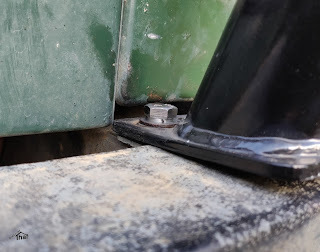 Only one of the bolts was stubborn and it just needed the half-inch drive socket instead of the three-eighths drive. 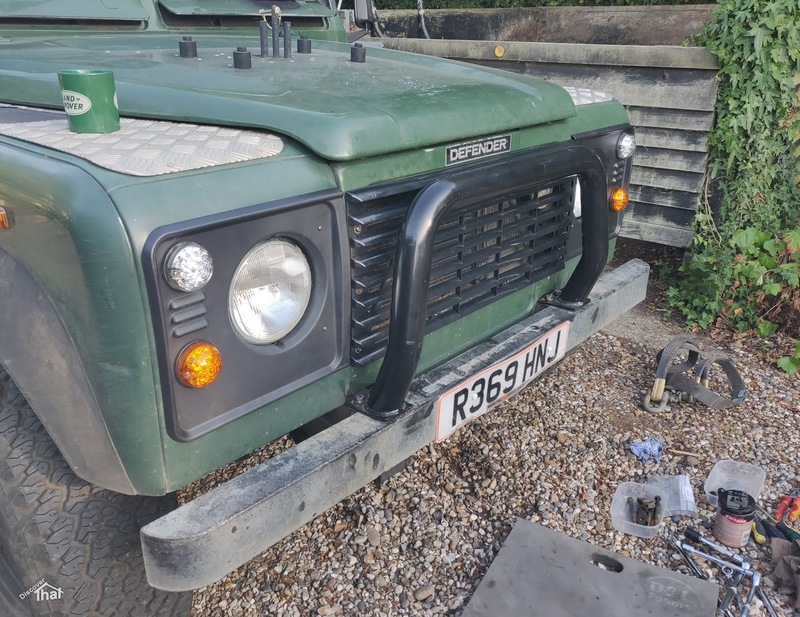 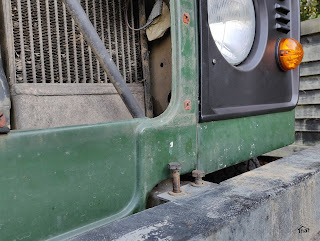 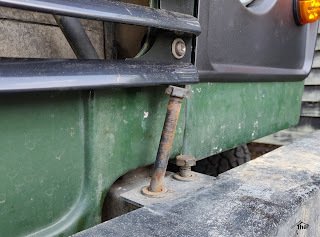 Slightly frustrating but on our Defender I had to remove the grill, that I had only just fitted, because there was not quite enough clearance to get the old bolts out. 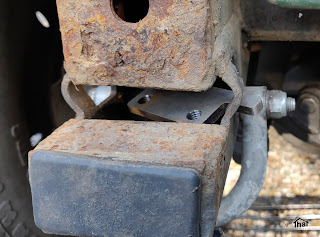 I had a new set of bolts. 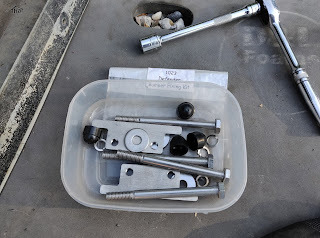 These came with a different lower fixing. 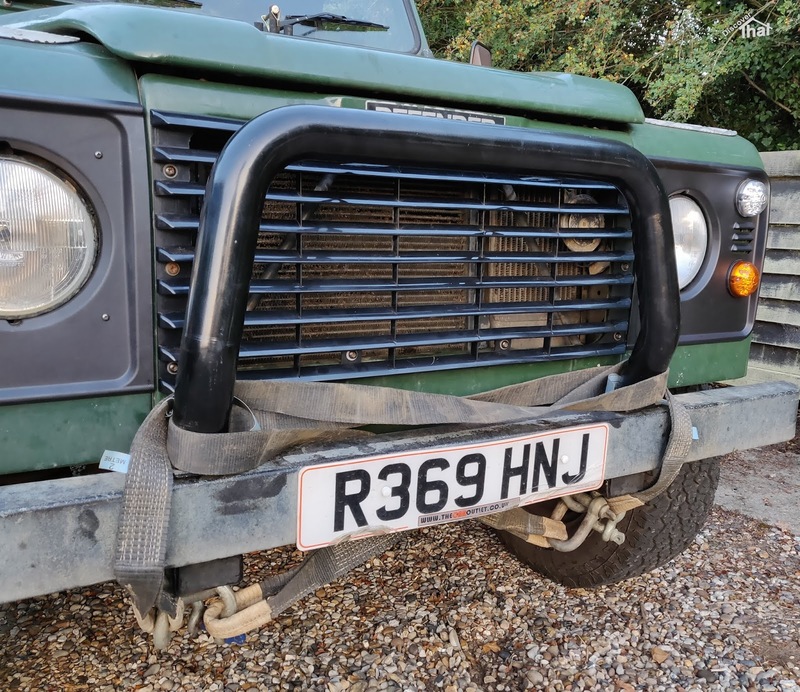 The original is held in with a spring clip attached to the bumper. The new one is a squat 'T' shape and eventually I worked out where to fit it. 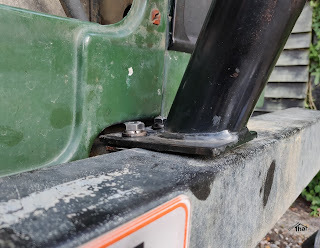 It needs to be pushed in above the sleeve for the Jate ring bolt and then brought back at an angle so that each leg of the 'T' sticks out the side holes in the bumper bracket. 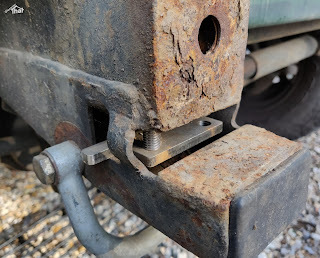 I thought it might be difficult to align the bolts but I found this new 'T' shape threaded piece easy to align by holding one of the legs. I fitted some washers to space the A-bar above the weld on the bumper mountings. 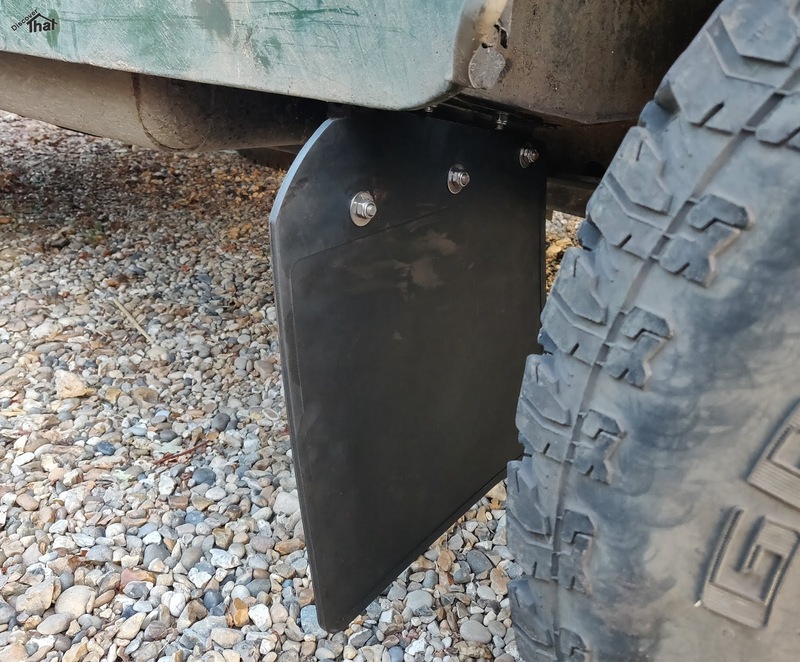 The last job of the day was to fit the front mud flaps. 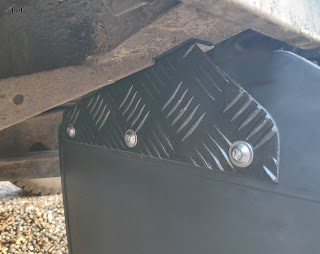 I've had these in the shed for a year waiting for me to make time to fit them. 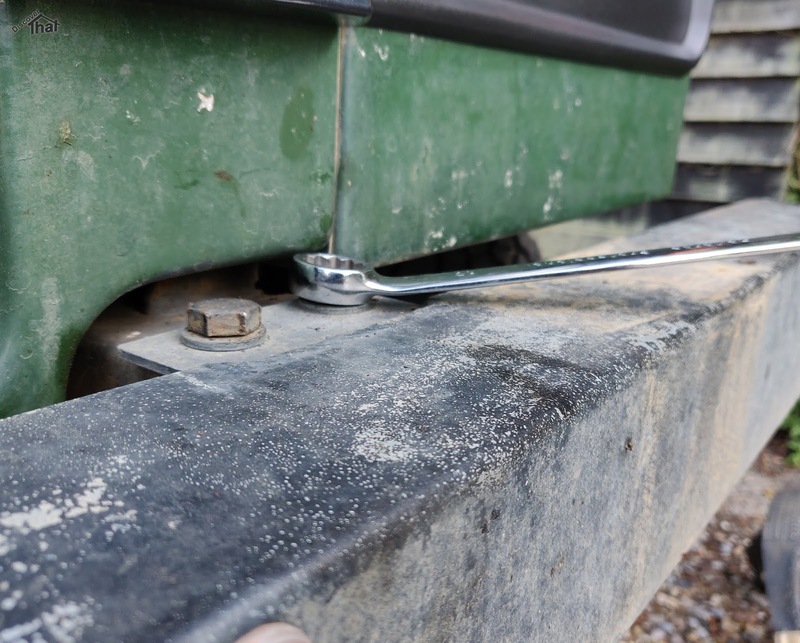 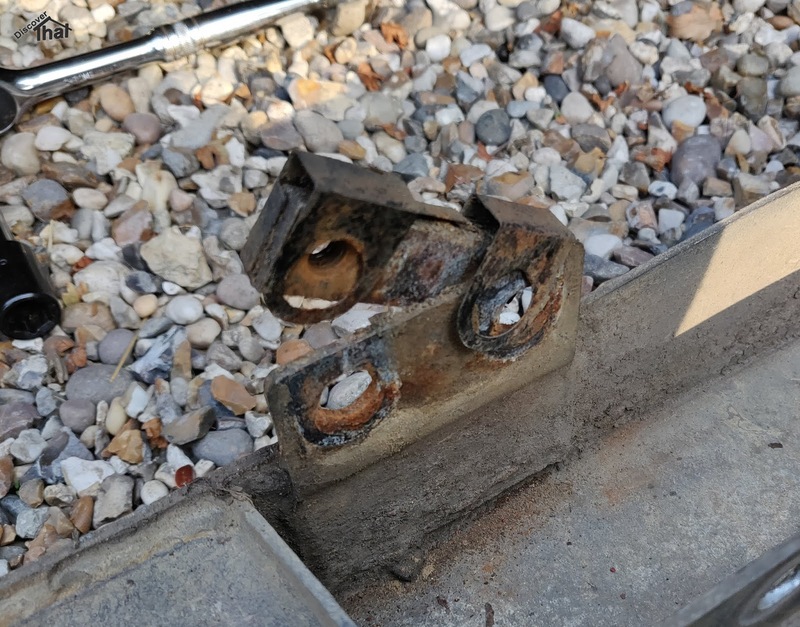 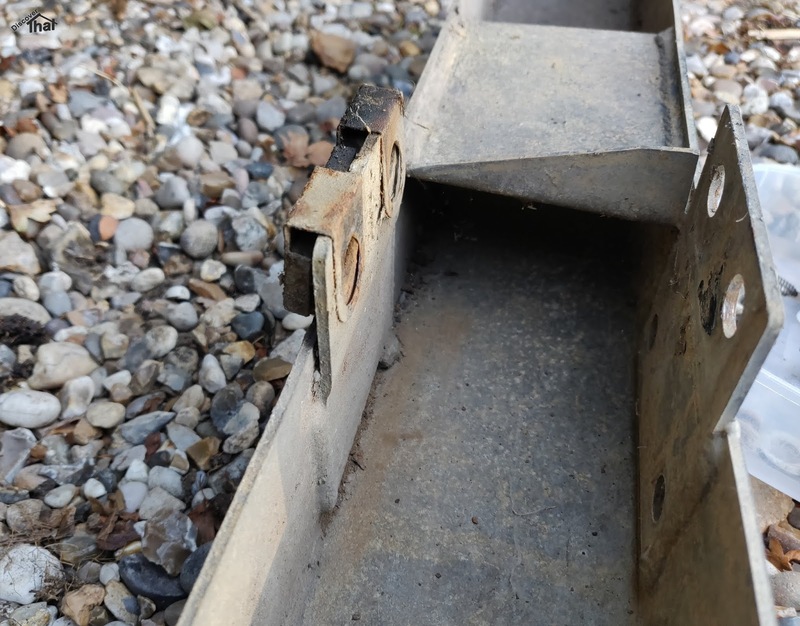 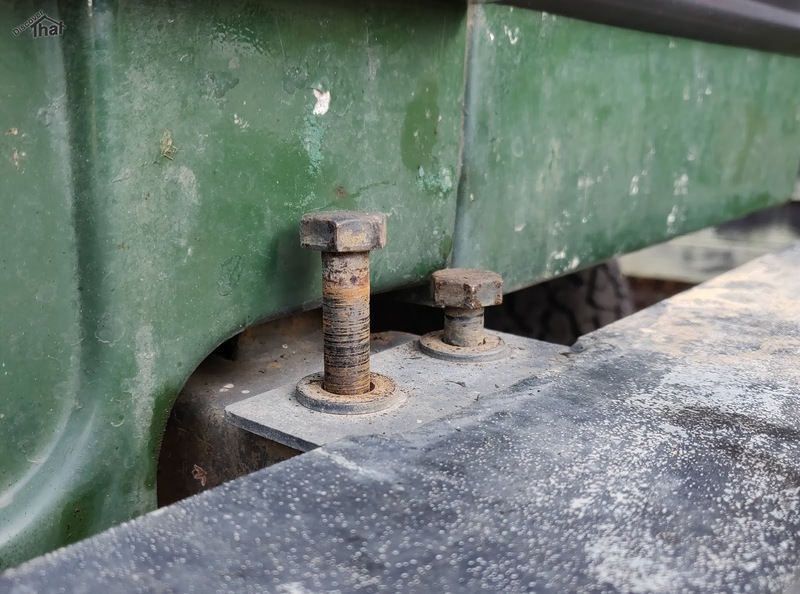 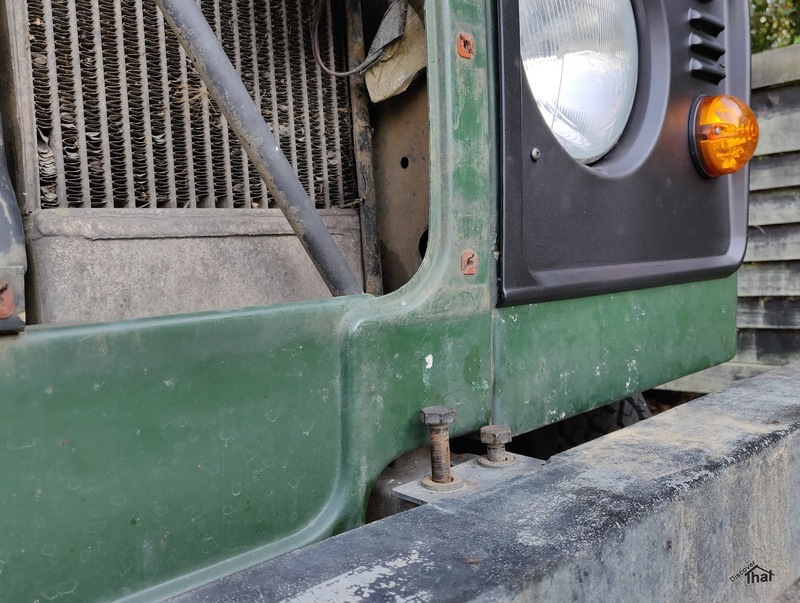 I had previously cut some rubber to space the aluminium brackets away from the steel chassis to reduce the chance of bi-metal caused corrosion. 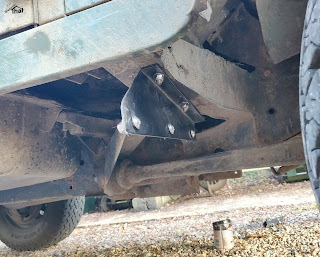 I had the rear ones fitted when the cross member was replaced.